Access will remain free for up to three stories per month, after which a modest fee will be charged. We are moving to a metered paywall system for our website, Madraspioneer.com. Essentially, access to our site remains free for up to three stories per month. After the third story within the month, a modest fee is required to access additional stories. The three-story meter is reset at the beginning of each month. But the full access that you are used to is easy to obtain. Subscribers to our print edition are provided free and total access to the website (an in-county year's newspaper subscription is $37). We are also offering full access web-only subscriptions for just $20 a year, about six cents a day. We also have one-day full web access for just $1. We are also excited about soon offering an "e-edition" of our newspaper. While our website includes many of our stories from every newspaper, the e-edition will include the entire newspaper in a format easily viewable all all devices. Look for an announcement on the launch of that option soon. 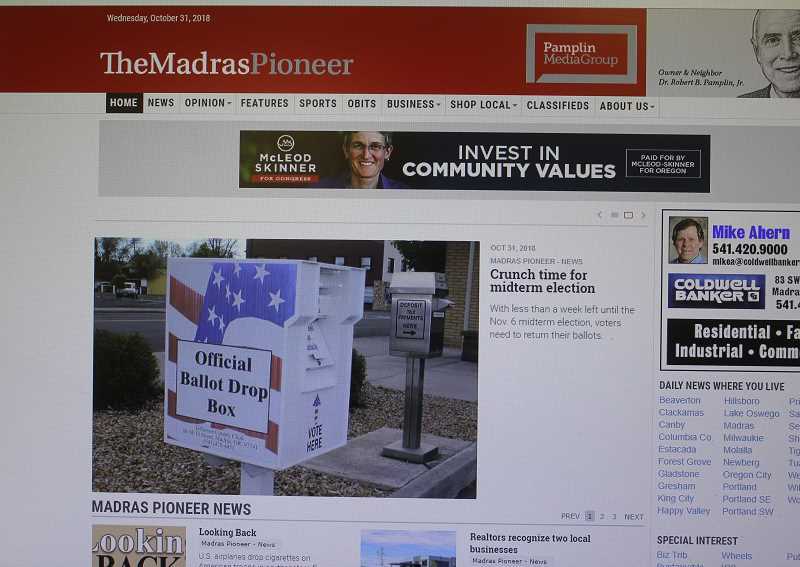 For more than a century, the Madras Pioneer has been providing news of and about our community and Jefferson County. But in this modern, digital world, it's also more financially difficult to do so. Our newspaper is a business like any other, with expenses and payroll to meet. Our product is the news we compile, our stories and information, and we cannot continue to give our product away for free. We are honored to have 5,429 web users visit our website, on average, every day, and 245,960 pages viewed per month, and our web traffic continues to steadily grow. We are asking our readers to help us stay strong in our mission to serve them and our community by subscribing to our newspaper and/or website. If you have further questions, please give us a call: 541-475-2275.